AKWAABA 2014 was largely overshadowed by the Ebola crisis in West Africa. While there seemed to be some external and perhaps even internal pressure to have the event cancelled, the organizers led by Ikechi Uko were determined to pull through with the expo. The fact that the World Health Organization (WHO) declared Nigeria as Ebola free just a few days before the scheduled start of the event seemed to be a positive indicator. However, some exhibitors, especially from Ebola affected regions around Guinea, Sierra Leone and Liberia failed to show up for the event. While this was so, the event received a much needed boost from confirmations from the Kenya Tourism Board, the South Africa Tourism Board in conjunction with South African Airlines and the Rwanda Development Board in conjunction with RwandAir. There was also a strong showing of Nigerian based hotels and airlines as well as regional carrier ASKY and Ethiopian Airlines. The South African Tourism Board made known their intentions when they announced the opening of their first regional office in Africa to be based in Lagos. Speaking at the side-lines of the event Mohammed Tanko Kwajaffa the Trade Relations Manager of South African Tourism in Lagos, Nigeria noted that opening the office in Lagos would go a long way into enhancing not only tourism but also trade between Nigeria and South Africa. Mr. Kwajaffa noted that the event this year was overshadowed by the Ebola crisis in West Africa, but was quick to commend the organizers of the event, especially the indefatigable Mr. Ikechi Uko has was very instrumental in ensuring that the event went on as planned and was a much a success as previous events. The event was officially opened by the Federal Minister of Housing and Lands the Honorable Mrs. Akon Eyakenyi who said that having the event in Lagos at the backdrop of the Ebola crisis and having all the exhibitors including the Kenya Tourism Board, the Rwanda Development Board and the South African Tourism Board participating was a huge statement that Africans were ready to start working and trading with each other and this would greatly enhance cooperation, tourism and investments across national borders. Hon. Eyakenyi commended the organizers for going ahead to host the tourism fair and for organizing it so well. Most of the event participants this year had never attended the AKWAABA before with most of the stands receiving a lot of enquiries especially from retail buyers keen on getting more information on various destinations. Mr. Demola Ojo, a travel journalist with ThisDay newspaper, a leading newspaper in Lagos said that this was the first time he was attending AKWAABA which he further went on to say that was a huge eye-opener for many Nigerians. The seminars at the trade fair were equally engaging with the entire plenary hall often full to capacity and it was quite heartening when the tourism stakeholders and retail buyers attending engaged the panelists on an engaging discussion that centered on technology in travel and tourism, standards and general travel-related information. Mr. Ikechi Uko hailed the event a success and promised an even bigger and better event in 2015. Nigeria, Donald Duke Named Governor of Year. To honor and encourage governors who are oasis of integrity in a desert of corruption and who are doing something uniquely different to empower their people. In terms of available resources, Cross River is the poor cousin among the Niger Delta States in that it receives, alongside Edo, paltry sums off money. But Governor Donald Duke, like the Biblical servant with two talents has been faithful to its management of what it has. What set Duke apart are his ideas to tap into the huge potentials in Cross River, rather than rely on statutory allocations from Abuja, to generate additional revenue for the socioeconomic transformation of his state. "Originally from France, I have lived and taught school in Abuja for five years, and appreciate the easy going lifestyle and friendliness of the people. Here, we enjoy a comfortable year round climate and really appreciate the absence of mosquitoes and similar insect pests. It's good to know that this city is virtually malaria free." " I was very impressed by the recent renovations that were being made at Nnamdi Azikwe International Airport and was pleased to learn that the Nigerian government was really serious about improving the infrastructure of its airports for incoming tourists and business people." " Your exciting Abuja Carnival rivals those in Rio de Janeiro, Brazil and Mardis Gras in New Orleans - and this was only the second year. Many say, Latin America's carnivals and music originated here in Nigeria." "My impression of Abuja was that it is truly a 'City of the Future' set in a scenic environment which reminded me very much of Denver, Colorado." " Located approximately one hour by air from Lagos, Abuja has excellent conference and accommodation facilities." "Throughout Abuja there is much construction going on and the people truly exhibit an excitement about living in what is perhaps the most modern city in Africa." "We were quite surprised at the relative ease in our processing through immigration and customs. Much to our pleasure, we were told that both the Ministry of Aviation and the Ministry of Tourism have done an excellent job in alleviating the extreme bottlenecks that travelers were accustomed to experience upon arriving in Nigeria. " Excerpts from The Guardian (Nigeria) by Andrew Iro Okungbowa and Stella Agbala "Here in this country where we have well over 350 ethnic and linguistic groups, diversity of culture, diversity of language, diversity of foods, and unity in diversity. We owe it a duty to ourselves, the rest of Africans and to African in Diaspora to showcase what is authentically Africa and what is authentically ours." President Obasnanjo/ Obasanjo was flanked by the Ministers of Foreign Affairs, Professor Joy Ogwu; Culture and Tourism, Professor Babalola Borishade; and the Chairman of the Abuja Carnival, Otunba Olusegun Runsewe, among others, He said: "In the next four days, you will see the different forms of art, dances, different aspects of our way of life, boat regatta, masquerades, that would be breathtaking in one spot." 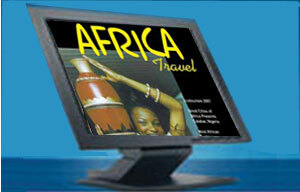 The carnival debuted last year as part of the Federal Government's dream to promote Nigeria as a tourist destination. Also, it is to promote and expose Abuja, the Federal Capital Territory (FCT) to the world as a promoter of tourism as well as showcase to the world the cultural beauty and business opportunities that abound in the country. Last year's celebration was almost marred by outcries and criticisms by some Nigerians, especially religious organizations, which saw the event as fetish and profane. But the President addressed these charges when he informed the nation that among others, it was meant to promote Nigeria and her people to the global community. With nothing short of joy and excitement, the President said the carnival is to be entrenched as a yearly celebration that would give people room to explore Nigeria. "You are all welcome to a splendid view, splendid feel, a splendid taste of what is Nigeria. It is with great pleasure and joy and satisfaction that I formally open this year's Abuja carnival to the glory of God and mankind," he declared. Editor's note: We have interviewed many individuals and government officials during our stay in Abuja, before, during and following the Abuja Carnival. 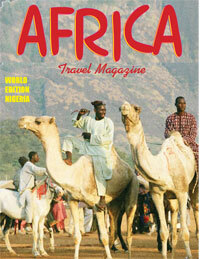 This will be part of a special edition of Africa Travel Magazine and Air Highways to Africa. I am Calabar, an historic seaport city and former slave trading post, strategically located on the Atlantic Coast near the Cameroon border. I am capital of Nigeria's Cross River State and considered the future superstar of West African tourism. That bright, shiny future is just around the corner according to the Governor's active timetable. In terms of economic potential, I am located near Port Harcourt, heart of Nigeria's petroleum industry, a magnet for business travelers from all corners of the world. What about my mission for the new millenium? I was selected host city for the Africa Travel Association's 10th Cultural and Ecotourism Symposium, a prestige event that attracts tourism industry executives from North America and the world. What was the key factor for this decision? The answer lies in the federal and state governments' new focus on tourism infrastructure , with three world class megaprojects well underway and coming into play at the very same moment, with 2007 being the pivotal year. This combination affects the fortunes of the city, state and country in a positive manner and will be a magnet for further trade, tourism and investment in the area. Members of the Africa Travel Association (ATA) contingent from the USA and Canada saw the big picture at a glance, and felt it in the unbounded optimism of their Nigerian hosts. To honour and encourage governors who are oasis of integrity in a desert of corruption and who are doing something uniquely different to empower their people. In terms of available resources, Cross River is the poor cousin among the Niger Delta States in that it receives, alongside Edo, paltry sums off money. But Governor Donald Duke, like the Biblical servant with two talents has been faithful to its management of what it has. What set Duke apart are his ideas to tap into the huge potentials in Cross River, rather than rely on statutory allocations from Abuja, to generate additional revenue for the socio-economic transformation of his state. Nigeria is famous for her huge population of about 140 million people - the largest national population on the African continent and the largest group of people on earth. This population is made up of about 250 pure ethnic groups. Three of them the Hausa, Igbo and Yoruba are the major groups and constitute over 40 per cent of the population. In fact, about 10 ethnic/ linguistic groups constitute more than 80% of the population: the other large groups are Tiv, Ibibio, Ijaw, Kanuri, Nupe, Gwari, Igala, Jukun, Idoma, Fulani, Itsekiri, Edo , Urhobo and Ijaw. The last census in 1991 indicates a population of that is 51% male and 49% female. Continued. I had the wonderful opportunity to participate in a Familiarization (FAM) Tour to Nigeria, West Africa this past October as a member of Tourism Consortium International (TCI). The overall purpose of this trip was to experience the level of readiness of Nigeria's travel and tourism infrastructure to include its hotel accommodations, air and road transportation, hospitality amenities and security services. This journey was made possible by the efforts of Chief Margaret B. Fabiyi, Nigeria's ASTA Chapter President, who was able to have KLM Royal Dutch Airlines and the Nigerian Tourism Development Corporation (NTDC) co-sponsor the two-week program. Click here or on above photos for more pictures and captions. My colleagues and I really looked forward with wide-eyed anticipation to discovering Nigeria, 'Africa's Giant in the Sun,' because of what we had heard regarding its great natural beauty and the friendliness of its people. I was very interested in learning more about Nigeria, which has over 2,000 years of tradition and culture, with a unique combination of ancient and modern lifestyles. This very physically demanding two-week itinerary provided everyone with a fantastic opportunity to visit several historically and culturally significant tourism venues in over a dozen cities within eight states in Nigeria, West Africa to include Lagos and Badagry in Lagos State, Abuja, the Federal Capital, Lafia in Nassarawa State, Jos in Plateau State, Yankari in Bauchi State, Umuahia and Arochukwu in Abia State, and last but most interesting, Oshogbo in Osun State.Continued. A darker historical era saw many people of West Africa leave their shores for plantations in Europe, North and South America and the Caribbean. The infamous slave trade in Nigeria is not known to many people like the slave trade in Ghana, Senegal, Togo and Benin. Nigeria and Ghana were former British colonies. Senegal, Togo and Benin were former French colonies.